Can the Common Core raise graduation rate for English learners? NEW YORK – Prompted by the new Common Core standards and an increase in English Language Learners in public schools, New York State education officials are moving aggressively to provide better support for bilingual teachers and improve student achievement. Currently, there are more than 216,000 English Language Learners enrolled in New York State public schools, speaking over 160 languages. Though the majority of ELLs are concentrated in the state’s largest districts including New York City, Buffalo and Rochester, several rural districts are seeing increases in immigrant families. In addition, Nassau, Suffolk, Rockland and Westchester Counties are experiencing a large influx of unaccompanied minors from Central and South America. Historically, English Learners have lagged behind other student groups. In June 2013, for example, the graduation rate for students in New York State was 74.9 percent while the rate for English Language Learners was 31.4 percent, the lowest of any other student group. Moreover, while 37.2 percent of high school graduates in New York State ranked as college and career ready, only 5.9 percent of English Learners were prepared for college. 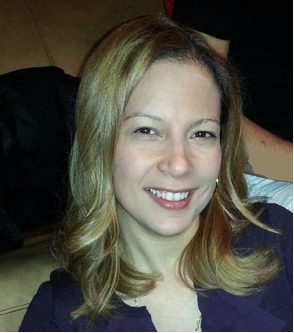 To help close those achievement gaps, the New York State Education Department in 2013 appointed veteran educator Angélica Infante-Green to a newly created post of associate commissioner for bilingual education. With nearly two decades of experience as a New York City bilingual teacher and school administrator, she now stands at the forefront of statewide change for ESL/bilingual teachers and English Language Learners. Already in her first year on the job, Infante-Green has revised state regulations governing school district responsibilities for ELLs; released a controversial “Blueprint for English Language Learners Success”; and overseen the creation of Common Core curriculum materials for ELLs. The Hechinger Report spoke to Infante-Green about the Common Core standards, the challenges facing bilingual/ESL teachers, monitoring schools in suburban and rural districts, and how to increase parental involvement in immigrant families to ensure student success. Q: What have been the biggest challenges in teaching the Common Core standards to English Language Learners? A: The biggest challenge has been that when the Common Core rolled out, it really didn’t have provisions for English Language Learners. Part of the challenge has been—not just for New York State but for other states–what do we do. So, we created a framework that said, these are the Common Core standards and this is how you work with those standards. They are called the Common Core Progressions … they show how you can work with English Language Learners whether they are a beginner or advanced, at whatever level they are with the Common Core. In addition, New York State created resource guides. We hired Dr. Diane August of the American Institutes for Research, who created a manual on how to “scaffold” or provide instructional support for English learners. It’s intended to help teachers prepare their lessons. Q: What difficulties have ESL/dual language teachers faced? A: Lack of materials. If you’re a bilingual teacher, a lot of the Common Core standards do not exist in other languages. That’s always the challenge of the bilingual teacher. They have to create things. They have to translate. They have to find materials from other countries. The good thing is that we are in the process of translating our math modules into five major languages: Spanish, Chinese, Bengali, Haitian-Creole, and Arabic, the first state in the nation to have done this. That is set to be completed in March. Q: Are ESL/bilingual teachers changing the way they teach? A: There is a shift. You can’t teach students what people thought of as traditional ESL anymore. That is not going to engage them in anything. So, how do you engage actual content? You can’t just have an isolated period where you’re throwing language at them. [In some schools], you had social studies, you had science, you had math, and then you had ESL class. Now this kid has spent 5 hours with other teachers, maybe understanding, maybe not understanding. So, in our new regulation, for intermediate and advanced levels, there has to be team teaching. The ESL teacher cannot teach in isolation. They still have this one period of English, but the rest has to be team teaching. The problem is that we have a 31 percent graduation rate in the state for English Language Learners. That is not acceptable. So, we’ve been very aggressive about our agenda because there’s a sense of urgency. Q: The new “Blueprint for English Language Learners” states that all teachers, regardless of grade or content, should consider themselves teachers of English learners. Why is this document important? Q: Do you think it’s fair to hold English learners to the same standards as other students? A: I think the standards are good. We can do a better job of holding the schools accountable for the academic performance of English learners. So, we’ve asked the federal government for an ESEA (Elementary and Secondary Education Act) waiver that would allow English learners to be tested with a language exam. If we’re using the language proficiency exam, it tells how well they are speaking, listening, reading and writing. It gives us very concrete data about where that child is. Q: What efforts are being made to help parents of English learners? A: We’re creating a hotline for parents. We’re starting off with nine languages and then we’re going to move into 24 languages. If parents are not getting what they are supposed to be getting with Common Core or anything related to English Language Learners, they need to call us. We are also creating a video and a parents’ bill of rights where we explain what they are entitled to as parents. And we want them to blow the whistle. In some districts, parents are not being informed about bilingual and ESL programs. Or the district would say: “we only have one class and it’s full.” Well, if the class is full, those districts need to open another one. Q: Are you hopeful the Common Core standards will improve ELL performance? A: I am hopeful. I think the ELLs are going to have better outcomes. I think that one of the things we need to do as a state and as a federal government is to really look at sub-groups and say this is how ELLs are performing, this is how new arrivals are performing. You can’t compare them to a kid that’s been here since birth. That makes no sense … we have to shift on how we’re measuring success.